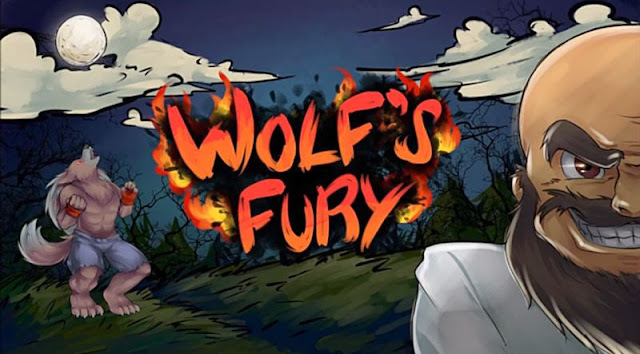 Indie Retro News: Wolf's Fury - Myoubouh aims for a howling beat em up Greenlight success. Wolf's Fury - Myoubouh aims for a howling beat em up Greenlight success. From the same developer who brought you the lush looking action adventure RPG 'Vairon’s Wrath', who we know as Myoubouh, has today sent us a message to announce his next game ' Wolf's Fury ' is aiming for a Steam Greenlight success. Unlike his previous game, Wolf's Fury is a full on beat em up inspired by oldschool 2D games of the past. In it you play as a powerful werewolf who is seeking vengeance and must find and destroy the evil Dr.Scandalious, who has transformed you into this frightening beast! With an already decent outlook to the game with a number of positive comments via Steam Greenlight, Wolf's Fury features 7 levels, 7 bosses to claw and bite, lots of monsters to slash at, different powers and items to use in battle, OST composed by Romain Favre, who composed for Vairon's Wrath, achievements and steam cards, and more importantly you actually play as a werewolf!